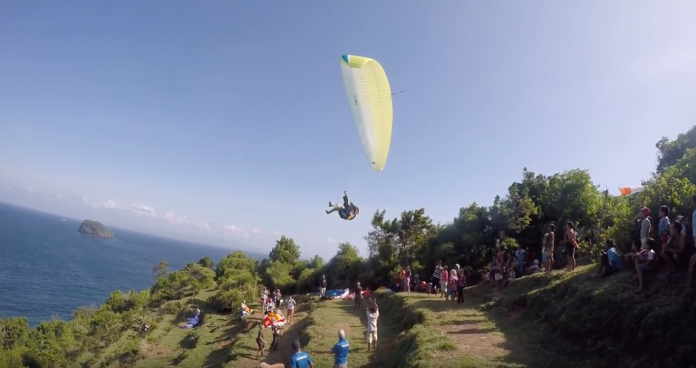 In June 2016, I travelled to Bali for work but managed to make that coincide with a paragliding tour. With a newly minted licence and only 5.5 hours airtime, I was keen to get as much flying done as possible. Most of the flying happens in Candidasa, a challenging site on an old peanut farm. The launch involves leaping off terraces and contains all sorts of spiky, wing-destroying sappy trees. About five days into the trip, I launched on a particularly strong day. Two instructors assisted due to the strong winds. I relied too much on them. Propelled by my own eagerness, all I could think about was getting into the sky, pushing away my doubts about the conditions. I really shouldn’t have launched. When I watch the video of my flight, the wind was barrelling up the hill and I was an inexperienced pilot on an A wing. After my crash, no-one else flew that day. A video of the launch shows me going straight up even before I can turn around. All I remember was ‘right brake, right brake’ then my instructor yelling out ‘speed bar’. Unfortunately I couldn’t reach it in time. I was being thrown around in my harness and the bar was up high, tucked in its Velcro strap. By the time I had gone on bar I was just above the hill. As I pushed the speed bar out I dropped down below the hill. By that time I was in serious trouble. I started to turn away but too late. Rotor. I don’t remember much but my vario shows me coming down about nine metres/second, straight into a cactus and rusty barbed-wire fence. My airbag cushioned much of the fall. Remarkably, I just missed three nasty strands of rebar sticking out of a concrete fence post. My only injuries were a few puncture wounds, cactus thorns and shock, but it could have been a lot, lot, worse. My instructor and fellow pilots on the tour were quick to come to my aid. I think Marcus was the first on the scene. He told me to lie still and not move. Second, he unclipped my wing which was great because I was worried about being dragged through the barbed-wire fence. 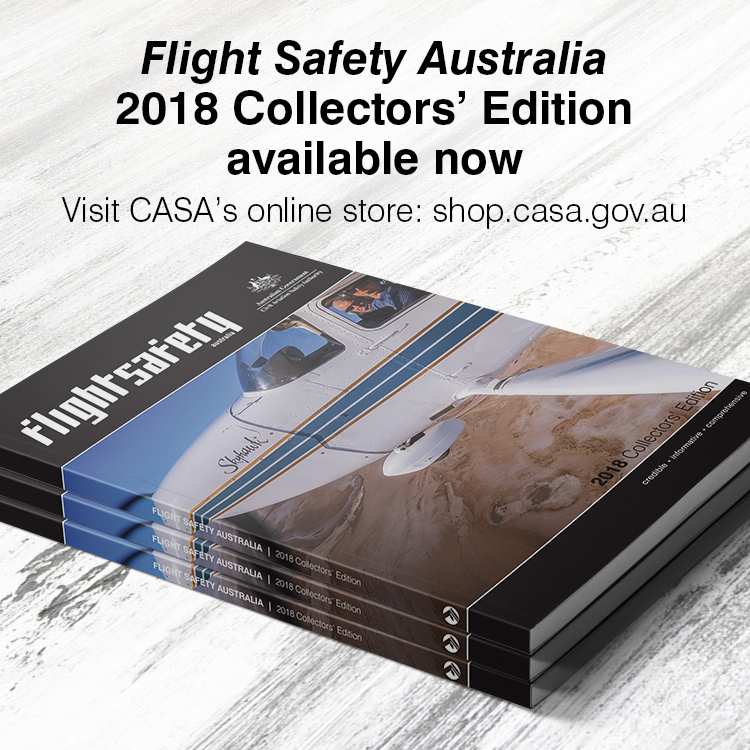 Be like Marcus to another pilot who crashes and you could make a big difference. Glenn, a nurse, was also there soon afterwards. He checked for broken bones, concussion, treated my cuts from the barbed wire and helped me deal with the initial shock. Now I have promised myself to fly with a first-aid kit and keep my first-aid skills up. My instructor packed up my glider which was a big relief. I think one of the first things I asked was if my glider was OK. Crazy I know but such is the pull of our sport. When I did get on my feet and back to the hill a few other pilots sat with me. That made a big difference. I remember Kieran not saying much but checking I was OK. I was still a bit shaken up, a bit sore and didn’t want to talk, but having people around was great. It was only when I recomposed myself about an hour or so later that I was ready to take in what happened. Andrew, Glenn and Maderson all helped me understand what happened. We reviewed what they saw and I started to take note of the lessons I needed to observe. A big one for me is a profound respect for rotor and strong winds. Going over the back was like being dumped in the surf—being drilled into the hard ground by a strong and powerful wave of turbulent air. I also made a number of simple errors. In strong winds I need to recheck my speed bar. Now I have a little ditty I say to myself at the start of each flight, ‘Holy Hell, Spandau Ballet’, which refers to harness, helmet, speed bar. I need to always unclip my speed bar on launch in strong winds so it hangs down a bit. Then there are other basics. It is essential to assess my capabilities, review the site, check my flight plan and observe the conditions. I don’t feel any shame in crashing. For me the most important thing is that I learn from it. Flying is also an inner journey. I am grateful for the crash in that it made space for me to face fear full on and also accept again how dangerous the sport can be if we are not vigilant. Getting up in the air as soon as possible was so important for me. Having experienced pilots and the paragliding community I was with, support that was a beautiful thing. An article about launching off a volcano, my next flight, the day after was published in the November/December 2016 issue of Sky Sailor. I only have 2 questions. Who licenced this pilot and who were the instructors that assisted him? That site is at a minimum an intermediate launch to advanced. It blows out often and is a Venturi at the landing beach. I would advise anyone going on a Bali tour to be extremely careful who they go with. We have seen this in the past with a NSW tour operator, CFI who also was a HGFA board member. When will CFI’s put safety before commerce $$$! Hey Nick I have nothing but praise for my instructor. I was already licensed when I went to Bali and got lots of additional instruction while there but was very low airtime. There were two schools running tours and lots of support. More than 20 pilots were already in the air and I was inside, ready to launch. Sure perhaps I could have been advised strongly not to launch. But the crash was on me. In the end I chose to launch and I made the mistakes. Hi Jason, can you answer Mr. Fenwicks question please. Respectfully, this seems like a totally avoidable accident. (Thank God you survived) One must question why a green student was allowed/encouraged to fly on a day where strongly variable winds were the reality at a intermediate to advanced launch location. Meaning: weather conditions and launch-site demands were risky given the student’s skill sets. I have to agree with Mr. Fenwick that this was a case of the instructor missing a number of obvious risk factors and giving his student very bad advice. Day of launch there were high winds, unforgiving terrain for a novice who was technically unprepared for the flight. The brake was stowed on a high wind day where updrafts over unforgiving terrain were strong and obvious? Wow. Better oversight and judgement from the instructor – for example saying just two words: “not today” – could have prevented this accident entirely. No disrespect intended, and certainly your instructor is a likable gentleman, but this is a case of an instructor miscalculating a student’s skills, weather conditions and preparedness for a very challenging flight. Fortunately it ended without grievous injury or worse.